I cannot find anything, other than this portrait, about her. She could be Anne de Noailles or Anne Marie Louise de Beauvau-Craon. Upgrade portrait posted 23 March 2019 from the Christie’s Web site. Also posted to the Reign of Louis XVI - 1775 to 1789 Album. 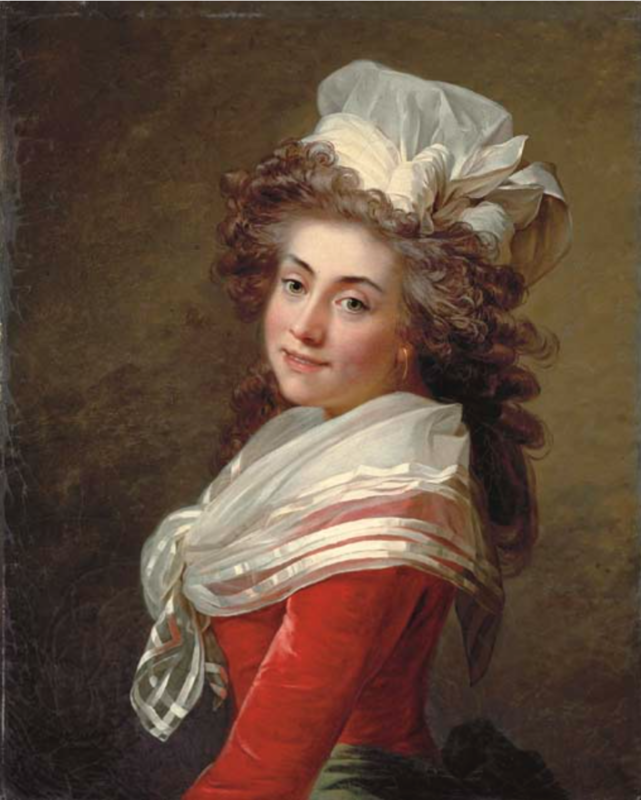 The Marquise wears late pre-Revolutionary style with a wide curly coiffure under an expansive cap and a banded fichu over a colorful dress.